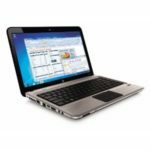 HP DM4-2191US is a 14-inch laptop equipped with a 2.4Ghz Intel® Core™ i5-2430M Processor, 4GB Memory, and 640GB hard drive. 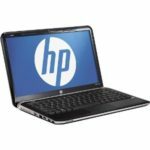 The laptop sports a 14″ diagonal HD BrightView LED-backlit Display at 1366 x 768 resolution, and Intel® HD Graphics 3000 with up to 1696MB total graphics memory. 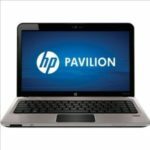 The HP Pavilion DM4-2191US also comes with HP TrueVision HD Webcam with integrated digital microphone, SuperMulti DVD burner, Dolby Home Theater, 802.11b/g/n WLAN, and 6-cell 55WHr lithium-ion battery for 8 hours of life. The laptop runs on Genuine Windows® 7 Home Premium (64-bit) operating system. You see, such a configuration is good enough for our daily use, people are very happy with it. Oh yeah, the HP DM4-2191US has become a hot selling laptop on Amazon, more and more people are crazy about it, so I think I'd better introduce it to you guys today. As a well-configured 14″ notebook PC, the DM4-2191US could be an ideal entertainment laptop, you'll enjoy wonderful experience with it. This HP dm4 laptop turns heads with its deeply brushed-metal finish and design inspired by super-premium sports cars-while it rips through your projects work, serves up smooth entertainment, and soars on the Web. 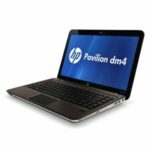 This laptop is very portable, at less than 1″ slim and starting at 4.4 pounds, the HP Pavilion dm4 travels light as you race across campus, town or around the world. You can take it anywhere with you, its long lasting battery life makes sure you always be connected, you'll never miss a thing anymore. As to price, Staples offers us a surprise, it provides $220 off, check the coupon here. 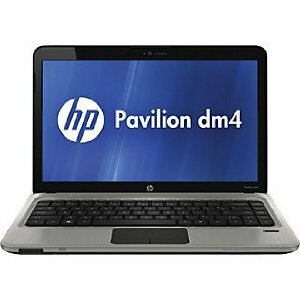 Well, what's your opinion on the HP DM4-2191US 14-Inch Entertainment Laptop? 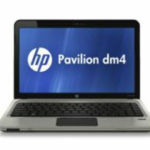 I just bought one HP dm4-2191us but found the fun is running very loud. I went to Staples and change another one. Unfortunately the same story. I want to return it but my son likes it very much! How should I do? Could you give me some suggestion? They have 2 vents at the bottom so as long as you don’t block them off by putting on your lap or something soft, the side vent which is loud rarely activates.